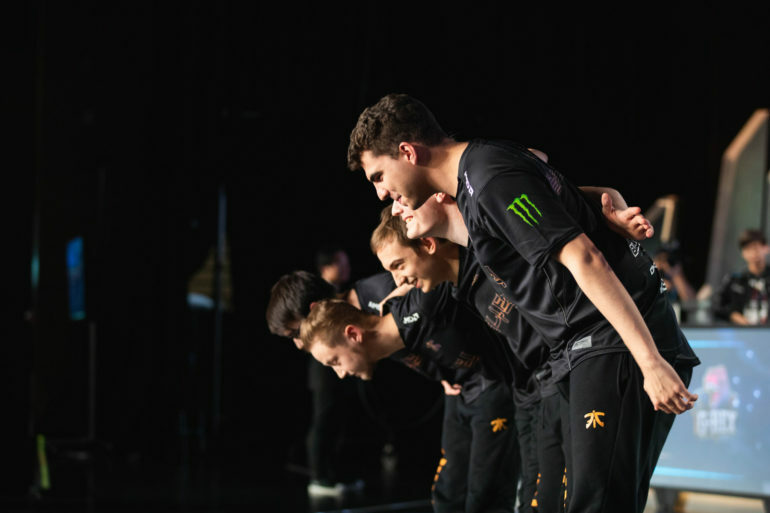 The last day of the 2018 League of Legends World Championship group stage began today with Fnatic ravaging the NA LCS’ second seed 100 Thieves, putting them within an inch of qualifying for the knockout stage quarterfinals. Invictus Gaming and G-Rex played the next game, and if Invictus won, both they and Fnatic would secure their advancement. Well, G-Rex hadn’t won a single game throughout the group stage so far, even against 100 Thieves, so no one was surprised that Invictus bowled them over. And with that win, both Invictus and Fnatic had guaranteed spots in the quarterfinals. They’ll play one another later today to determine who will get the first seed. Out of all the groups in the group stage, Group D was the easiest to predict. Both Invictus Gaming and Fnatic are considered some of the best teams at the tournament, while both 100 Thieves and G-Rex are quite the opposite. Heading into the event, 100 Thieves were considered to be the least talented NA representative in attendance, and that proved true as they were swiftly knocked out. G-Rex showed some promise during the play-in stage, but if you can’t beat 100T, you’re not going to make it very far. Fnatic and Invictus will play against one another again as part of the double round robin of the group at 8am CT this morning. That’s assuming both teams win their games against 100T and G-Rex heading into that last showdown. Invictus are still the favorites, as they were the first time these teams met, but if Fnatic can win, they’ll force a tiebreaker for the first seed in the group. For the EU LCS champions, this year had to have felt significantly easier than their last Worlds attempt in 2017. Last year, they started off the group stage with an abysmal record, and they were forced to win nearly every game in the second half of the stage and rely on other teams to choke just to have a chance. After a miraculous day, they pulled it off, but this year, they just steamrolled the competition right out the gate. Riot has yet to confirm which teams will face one another, but these two teams mark the final teams of the knockout stage. All eight teams advancing are the LCK’s Afreeca Freecs and KT Rolster; the LPL’s RNG, Invictus, and EDG; the NA LCS’ Cloud9; and the EU LCS’ Fnatic and G2 Esports. The knockout stage begins this Friday at 11pm CT.